When a local architect and notorious lothario gets himself impaled on a wrought iron fence it pretty much ruins Mitzy's Christmas. 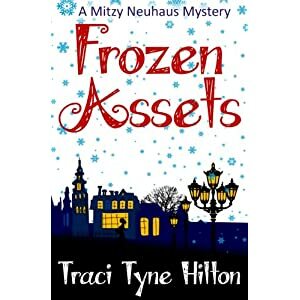 With her client--the dead guy's most recent ex-wife--in crisis and the custom Tudor home now a murder house, Mitzy will need to work a lot of overtime to unload the unsellable property--and catch a killer. “Umm hmm.” Alonzo sat in his leather recliner, watching football on his twenty-year-old projection TV. The cords from his high-def conversion box, VCR, Internet streaming box, Blu-ray, and equally ancient surround sound hung down the sides of the giant box like a bad wig. “That’s because you are an Amazon.” He turned the volume up. Mitzy crossed the room, this time with long, exaggerated steps. “Hey now.” Alonzo grabbed up the remote and clicked the TV on. It warmed back up slowly. “Touchdown!” Alonzo leapt to his feet. “I think we’re going to win this one.” He sat down on the edge of his seat and leaned forward with his elbows on his knees. Mitzy flipped the switch again. “Knock it off! We’re in overtime!” Alonzo hit the power button on the remote again. He scowled at the television as it flickered back into life. Outside, a slushy rain fell, like blobby white snowflakes that made cold puddles on the sidewalk. “Humph.” Alonzo took out last night’s roast. He put the whole thing in the microwave to reheat. “Don’t you have a house to sell?” Alonzo watched the timer on the microwave. “I took the day off. Let’s go out to dinner.” Going out had been Mitzy’s plan all along, and his picking out the leftovers were a direct offensive move against that plan. The likely result of her accidentally shutting off his game. “That can’t be warm yet.” Mitzy checked the big hunk of beef for any sign of steaminess. Alonzo set the plate down and leaned over it, guarding it with his arms. He ate a forkful of the lukewarm meat without a comment. Mitzy poured herself a cup of coffee and sat down at the table with Alonzo. Mitzy nodded and took a drink of her coffee. She looked out the window at their back yard. The backyard neighbor still hadn’t put siding up. For as long as Mitzy had been with Alonzo, that house had needed siding. Now, the pink vapor barrier that was supposed to be underneath the nonexistent siding was ratty and faded with long fibrous strands blowing in the wind. “We could do some renovations,” Alonzo said. Mitzy turned back to Alonzo. He smiled at her, his face creasing into crow’s feet and dimples. “We could renovate.” Mitzy turned her eyes back to the window. “You don’t want your kids to go to school here, do you?” Mitzy asked. Mitzy attempted to suppress a smile, but it quirked at the side of her mouth. “It’s not for sale.” Alonzo took another bite of his pre-dinner pot roast. “You’re doing the job because your guys need the work, not because we need the money.” Mitzy sighed. “It’s such a great house.” She loved the house for its quirky ‘80s style and she loved the neighborhood—the 1987 Fantasy Homes Street. “There were still association fees. It’s better to own your house outright. Be the king of your own castle.” Alonzo pulled the fork out of his meat. 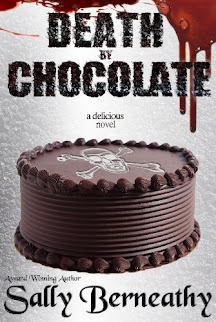 He covered it in the plastic wrap that still clung to the edge of the plate. “Is the neighborhood association the reason you don’t like the fantasy house?” Mitzy wanted to determine the biggest weakness of the property so she could properly form her sales pitch. “Two can play that game.” Mitzy nibbled Alonzo’s ear and whispered, “Please?” She let her lips linger for a brief moment. “I don’t like the idea, babe.” Alonzo placed his hands on Mitzy’s hips and pushed her up as he stood. “But I guess we can consider it. Why don’t I think about it while you sell that other house? Then we can talk again.” Alonzo took his plate of lukewarm meat back to the microwave. The following morning was also cold, and the house was still small. But rather than worry over it, Mitzy sat cross-legged on the floor in front of Alonzo’s recliner, enjoying his warm legs against her back as she worked. Her laptop was open, and she was plotting how to sell an expensive older house fast. The house on Concord had listed two days ago, but no one had called for a showing yet. Almost one year after their wedding, two years after the housing bubble burst, there really hadn’t been an uptick in the market. While the house she was trying to sell would have fetched a couple million dollars in about a week in 2006, now in 2011, finding a buyer at less than half that would be a serious challenge. The house needed tweaking—little improvements here and there—but the owner had lived in it since it was built as a custom home. Staging the house would be a hard sell. Mitzy clicked through the pictures. Cluttered office. Tile in the kitchen instead of granite. Carpet in the main living areas. Without the top-of-the-line finishes like hardwoods and natural stone, the house would have to be staged to perfection. Mitzy stopped at the picture of the master bedroom. A full five-hundred-square-feet of living space, antique French bedroom furniture, a tray ceiling, a chandelier, two walk-in closets: it was every newlywed’s dream room. But it couldn’t make a marriage work. Mitzy leaned back against Alonzo’s knees. Their bed was shoved into the corner of the smallest room she had ever seen, and she had to use the third bedroom as a closet. Her client, Karina English, seemed glad to have ended her twenty-year marriage, and now she wanted to unload the house her cheating husband had built for her. If Mitzy had been offered the choice between that life and her own, she would have kept her tiny dwelling and faithful husband, but frankly, she didn’t see why she couldn’t have a great house and a great husband. She clicked to the outdoor shots. Not a single yard in Portland looked good on December 1st. Her cell phone vibrated in her pocket. She dragged her mind away from the house and checked the number. It was Karina. On the other end of the line, Karina was crying. Mitzy lowered the tone of her voice. “Karina, I’m here. What is it?” She looked up at Alonzo. Karina sobbed and make word-like sounds that Mitzy couldn’t understand. Karina’s crying slowed down. “Yes, please come here. Arnold is dead.” She broke down again as soon as the words were out. “I’ll be right there, Karina. I can be there in twenty minutes.” Mitzy kept the line live for a few moments longer while she put on her snow boots. When Karina eventually managed a sobbing “thank you,” they both ended the call. Mitzy stuffed her phone into the pocket of her ski jacket. The English house was a forty-five-hundred-square-foot 1970s faux Tudor home on Concord Street at the top of the Happy Valley side of Mt. Scott. It was located 1300 feet higher than the small house Mitzy and Alonzo called home. Instead of the slush that mucked up Mitzy’s street, Concord Street was blanketed in several inches of soft, white snow. The driveway was cordoned off with yellow police tape, and police cars lined the road. “We’ve gone a whole year without getting involved with the police. I would love to turn this car around and take you back home.” Alonzo scowled at the line of police cars. Mitzy sighed. She really wanted to connect with the detective in charge and find out what had happened. She turned away from the scene and looked at Alonzo. He was a sickly shade of white. Though fresh snow had been falling all morning, the snow on the road was rutted as though cars had been coming and going all day. Mitzy paused at the police tape. An officer in uniform met her there. “We’ll get her to come out. We are still looking at the scene.” The officer assessed Mitzy over his wire-rim glasses. The Tudor-style home was three stories tall with a Juliet balcony at the window in the top gable. Most of the police were working the yard, so the snow there was well-churned. Mitzy crunched her way down the snow-covered sidewalk, keeping to her side of the police tape. She stopped at the middle of the yard and watched a cluster of officers at one of the windows. Mitzy held her fingers to her mouth and blew on them. From all of the police activity, it appeared Arnold had been murdered at the house. It was so hard to sell a house after a recent murder. The officer led Karina out of the house. She wore snow boots and a ski jacket over her flannel pajamas. Her cheeks were blotchy red, and her eyes were swollen. When Karina was closer, Mitzy held her hands out to her. Karina took Mitzy’s hands and squeezed them tight. “Ms. English is free to leave the house, but she has to leave her phone on and cannot leave the state,” the officer said. Karina dropped Mitzy’s hands. She and Mitzy walked to the place where the sidewalk met the driveway with the police tape still between them. “Thank you for coming for me.” Karina’s voice was low, and she watched the ground as she walked. “I’m not. I’m not holding up at all. I was standing at my window in the kitchen making breakfast when a weird shadow caught my eye. I turned and, and…” She choked back a sob. “I’m sorry, what?” Mitzy stopped and looked back at the officers in front of the window. They were clustered around the flowerbed. Another corpse flashed into Mitzy’s mind, one with a smashed-in skull. She understood, at least a little, what Karina must be feeling. Mitzy began to walk again, leading Karina away from the house. “What did you do?” Mitzy asked when they had reached the end of the sidewalk. Mitzy led Karina to the truck where Alonzo was waiting and opened the door to the front seat. She gave Karina her arm to help her in. “What happened when the police arrived?” Mitzy asked. Mitzy tried to think of a reason. Ex-husband, house for sale, early morning, impaled on a fence. She was at a loss. Why had Arnold been there? Alonzo stood in line to buy their coffee, so she couldn’t ask his opinion. “What did they do with, with Arnold?” Mitzy asked. “I don’t know. I couldn’t look. I hope he is gone. I don’t want to go back until he is gone. I can stay away, can’t I?” Karina pulled the sleeve of her flannel pajama shirt out of the cuff of her coat. She wrapped it over her fingers and dabbed at her eyes. Alonzo set the coffees down and then leaned over to whisper to Mitzy, “I’m going to wait in the truck.” He kissed her on the top of her head and slunk away. “But didn’t you hear anything?” Mitzy’s heart was racing. She took a deep breath to calm down. “They asked me that, but I didn’t. I take sleeping pills, and I just slept through it all.” Karina looked lost, her eyes still in shock, her face pale. She hadn’t touched her cup of coffee yet. “What can I do for you?” Mitzy pushed the paper cup closer to Karina, hoping she would pick it up. “No, they can’t think I did it. I didn’t have any reason to. He may have left me, but I got the house. But, Mitzy, I don’t know why he was here.” Karina rested her forehead on her clenched fist and looked down at the glossy tabletop. Karina nodded, eyes still down. Mitzy held her paper cup of coffee up and let the steam warm her cold lips. Karina was five feet, two inches, and a hundred pounds soaking wet. She was an aging socialite and do-gooder, not an athlete. Without her makeup on, Karina looked older than she had when they had last met. Her cheeks were hollow and deep lines radiated from her eyes and around her mouth. She couldn’t have pushed a big man like Arnold off the balcony. Nonetheless, someone had killed Arnold, and Karina was going to pay for it—not with jail time, Mitzy was sure—but with a lengthy and horrible delay to her plans to get on with her post-divorce life. “Business or money. What is it ever? They haven’t been on good terms for years because Arnold wanted to sell the business and Zachary wanted to inherit it.” Karina picked up her own cup for the first time, but she did nothing more than wrap her fingers around it. “Yes.” Karina moved the cup to her lips. “Yes. And when Arnold sold it, he opened English Cottages, the small house company. Todd understood what his dad was doing.” Karina’s face blanched. Karina shook her head. “No,” she whispered. Mitzy’s head was swimming with the number of husbands and wives in the conversation. How did they all keep track of each other? Karina was only fifty. She had spent the last twenty years trying to be important in the lives of two boys who had visited her every other weekend. She wasn’t their mother. She wasn’t their friend. And now, the father of the family was dead, she wasn’t even the step-mother anymore. “You were counting on the sale of this house, weren’t you?” Mitzy looked out the window at her own husband sitting in his truck. The window was foggy, so she could just make out his silhouette. Mitzy lifted her eyebrow. “You what?” That little fact hadn’t come up when they listed the house. “That dog.” Mitzy scratched an X into the corrugated sleeve on her mug with her fingernail. “But now, even she can’t have him.” Karina pressed her hand to her forehead. Mitzy sipped her coffee and considered the situation. Karina knew Mitzy’s sister-in- law, Aerin, via their fundraising connections. Karina had picked up the Neuhaus New Homes contact information at the ill-fated museum gala a couple of years back. When Karina decided to sell her house, she called Mitzy. Mitzy knew the English family because she kept an eye on well-designed homes. Arnold English always had a house on the Fantasy Homes Tour, and the English Cottages small house business had made some waves in the Portland design community. The scholarship he had established had received its share of media attention as well. When Arnold’s youngest son died, the family, business, and scholarship were all over the news. But she didn’t know much about Karina. Who was she before she became Arnold’s first trophy wife? Had she been the other woman once? Did she have a bigger grudge against her ex-husband than she admitted? And what about this Zachary? How badly did he hate his father? “No. I need to get dressed and figure out what the police need me to do—where I need to go. Thank you anyway.” Each word seemed an effort for Karina. Karina lay her hands on the table, palms up. Karina chewed her bottom lip and started tapping the screen. Mitzy watched the slushy rain fall outside while she waited. Down here, at the bottom of Karina’s hill, the snow still fell in wet, slick, sleet, hitting the ground only to create dirty puddles that would freeze in the night. Nothing like the pure white fluff falling a thousand feet or so above them. Mitzy tried to zone out while Karina spoke on the phone, but it was obvious that she had reached the secretary. “My lawyer is… he is not going to represent me. His assistant said he was Arnold’s lawyer after the divorce and so he…” Her voice trailed off. She put one hand over her eyes and took a deep breath. The phone was on the table between them. Mitzy picked it up and tapped the back of it with her acrylic nails, the clicking in rhythm with the music playing in the background. “Don’t say anything else to the police until you get a lawyer, okay?” Mitzy’s heart was beating against her ribcage. She’d have to help. Someone on the police force, Officer McConnell, or maybe one of the other guys she’d worked with before, could give her advice. She’d call her brother Brett to find Karina the best lawyer in town. She stopped her clicking and looked at Karina again. Gray roots were beginning to show in Karina’s once-perfect golden hair. How was Karina doing financially? Could she afford the best lawyer? Mitzy sucked a little breath through her teeth. She was sure this tiny woman hadn’t shoved her stocky ex-husband off of the Juliet balcony… but two million dollars was a pretty good motive. She could feel a frown forming on her face, so she pulled it back to a look of concern as quickly as she could. Karina noted the look on Mitzy’s face and looked down at her cup. “But Arnold had one on me as well, for just as much. We bought them before the divorce. No one would expect anything less of us, surely. It’s perfectly normal.” She looked up at Mitzy again, her eyes wide and full of fear. Mitzy walked back to the truck with Karina. The snow had stopped falling, and the wan sun had begun to melt it. “I’ll help anyway I can.” The oily-machine-man smell of Alonzo’s truck was a comfort—something solid in a cold, confusing world. Alonzo drove them back up the hill to the crime scene and dropped Karina off. “Is she going to be okay?” he asked. They drove the rest of the way home in silence. When they pulled onto their street, Mitzy surveyed the homes. All single story ranch style. What kind of renovation could you do on a street like that? Alonzo opened the car door for her and offered his arm. Compared to infidelity and murder, what was a house, really? It wasn’t the same thing as family, and she had the family thing nailed. By five that evening, dark had already fallen, and Mitzy was tucked into her Snuggie with her laptop open to RealtorblogUSA. Her phone rang, jarring her out of her reading. “This is Mitzy.” She stretched one arm over her head. Maybe she’d get a new house to list. “It’s me.” Karina’s voice shook with fear, but Mitzy recognized her.